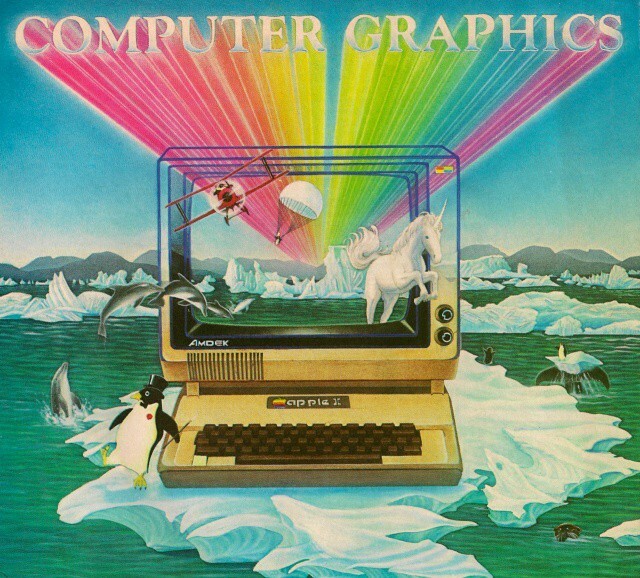 Is this graphic from the 80’s not the most amazing Apple II display ad you’ve ever seen? It’s got freaking rainbows and unicorns and even dolphins jumping out of the sea to play hopscotch with you. Shoot, it’s even got a cute little dancing penguin too! The only thing that would make it better is if Steve Jobs was riding a great white shark in the background with a laser attached to its head. What do you think could be added to the graphic to make it even better? Let us hear your ideas in the comments.